Whoever knows me well would know that I’m not a big fan of make up. It might be because I find it time consuming to apply, or maybe because I’m always too lazy to remove it when I’m back home, either way, I’m not a fan of bothering with the whole A to Z makeup process. Nevertheless, I was pleased with the products I received to review for Mikyajy, since they were perfect for the low-maintenance yet beauty loving girl. Girl Tools Brow & Lash Kit: Last but not least, this is by far my favorite, this mini kit should become every woman’s new best friend. 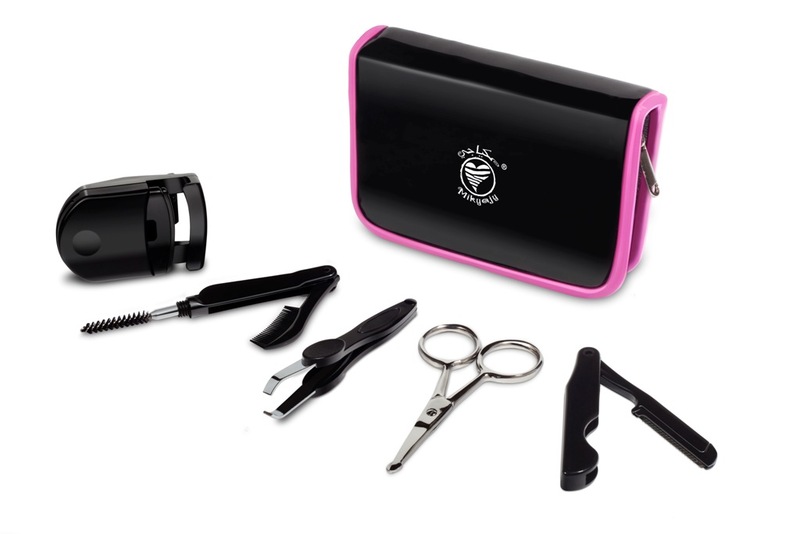 The set includes tweezers, a brow styling wand, a razor, safety scissors and a mini eyelash curler, and the good thing is, with all those essential items in it, it’s still small enough to fit in your everyday bag. I’ve actually took this with me on vacation, because it is hard for women to trust just any eyebrow stylist(I’ve had some pretty bad experiences) and it’s working wonders, I managed to keep the same shape my last brow technician gave me! I’ve never used eyelash curlers on regular days out, but the mini curler available does its magic as much as any other, size doesn’t matter here! For the extra effect, the curler can be heated up with a blow dryer before use, just test it out before use to avoid a terrible scene of eyelash burnout. This awesome set retails for AED 69. Anyhoo, thanks for visiting my blog. As for future events, I'm afraid I won't be doing event photography anymore (it got too stressful for me and I decided to stay at home, relax, and rethink my priorities). However, if I bump into you one of these days (Duba isn't that big anyway), I'll make sure I say hi. I love Mikyajy…..And can't wait for buy it.